Ah, the turtles. We all loved them, right? 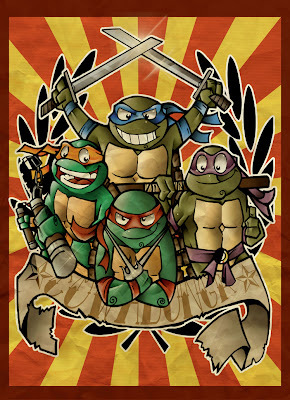 If you point me to someone born and raised in the 80s who didn't love the old Turtles cartoon, I'll give you a cookie. 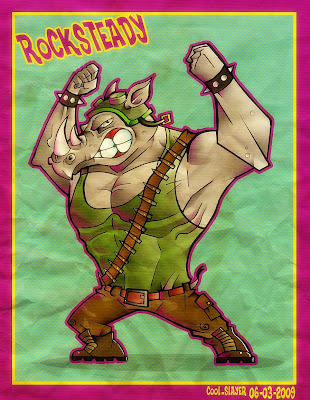 It was pretty much the coolest thing ever when I was a little girl, and today I look back at the cartoon with nostalgia. Sure, the Turtles are still on tv and movies, but it's just not the same. 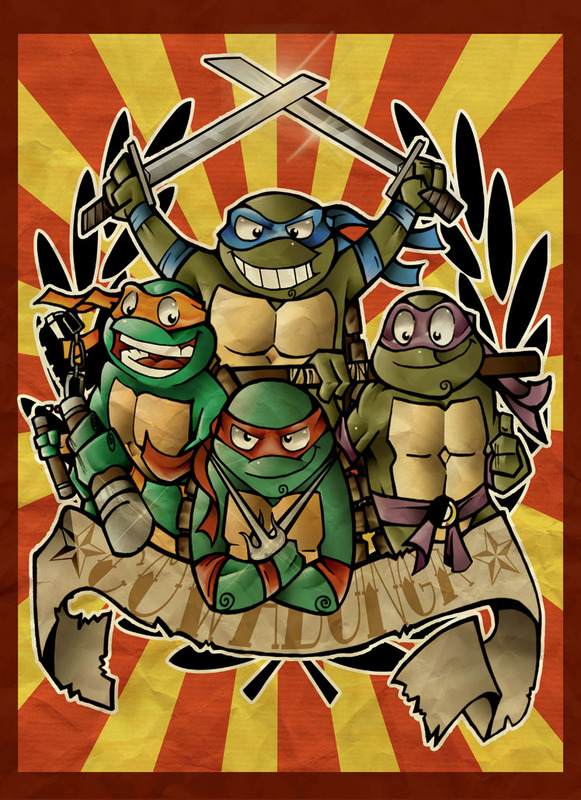 Just as I grew up, the turtles changed and I can no longer identify with the newer series. That being said, they're still a lot of fun to draw. That's why I dedicating this post to some of the most recent pieces I've done on the turtles and the villains from the show. I offered it to him and, to my joy, he loved it, so I later posted it to my deviantart page. 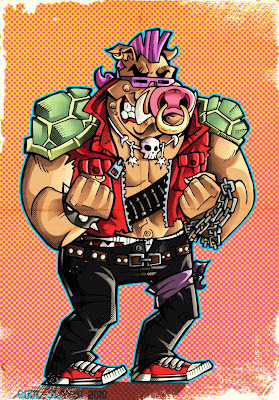 It turns out this started a challenge with my friend Oscar, where we would challenge each other to keep drawing characters from the turtles. 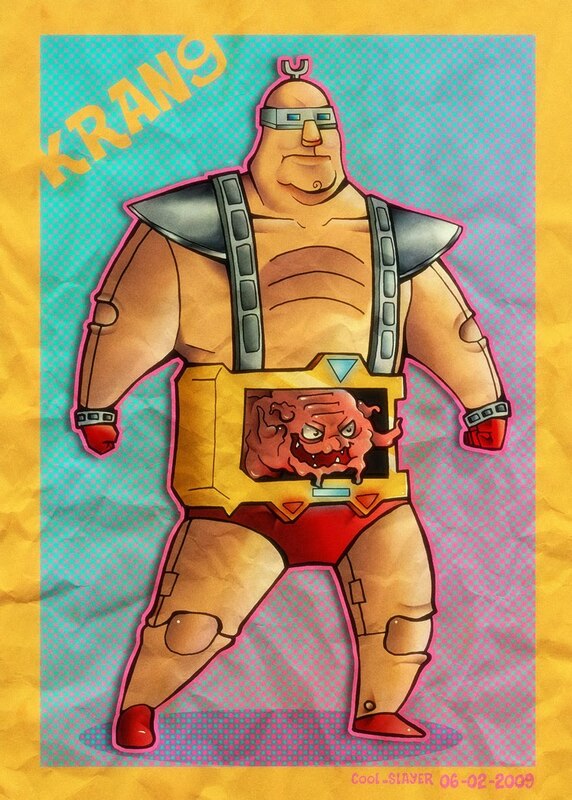 So, in February 2009, my gallery saw the arrival of Krang, complete with bright, 80ish colors. I hope you enjoyed this look back through my TMNT themed artwork. Let me know what you think, and stay tuned for new posts!